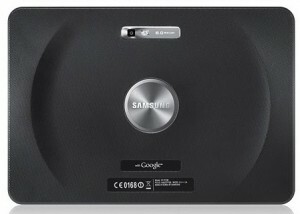 Samsung announced a new version of the Galaxy Tab at the MWC 2011 at Barcelona. The original Galaxy Tab was made on Android version 2.2, which not designed for tablets, but Samsung sold more than one million copies of the Galaxy Tab as per the initial estimates. The new Galaxy Tab 10.1 is a great improvement from the first one, both in the software and hardware side. 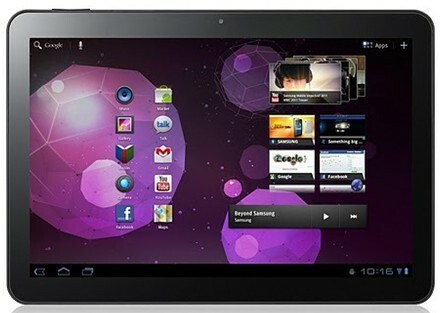 As the name suggests, Samsung Galaxy Tab 10.1, has a 10.1 inch XVGA capacitive touch screen with multi-touch input support. Samsung Galaxy Tab 10.1 will be shipped with Android 3.0 HoneyComb OS. The first thing we notice in the new Galaxy Tab 10.1 is its extremely thinned design.The direct competitor of the Samsung Galaxy Tab 10.1 from the Android tablet segment is Motorola Xoom. Galaxy Tab 10.1 is thinner and lighter than Xoom and it also has 1GHZ dual core CPU and around 1GB of DDR2 RAM. In the image side, Galaxy Tab ousts Xoom with an 8MP snapper and there is also a 2Mp front camera. We had discussed the features of the Android OS 3.0 in our old posts. All those new features will be available in Samsung Galaxy Tab 10.1. It will be available in 16Gb and 32Gb storage options. The battery is 6860mAh, pretty enough for long term productivity. The price of the Galaxy Tab 10.1 won’t be that small, especially when you compare it with the original Galaxy tab and the Xoom. 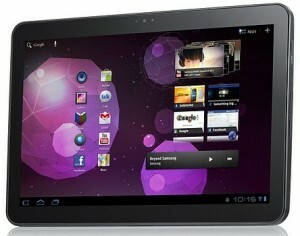 Bestbuy recently leaked $1200 as the price of the Xoom tablet which almost has same specifications of Galaxy Tab 10.1. So don’t surprise if Samsung takes the price levels to above $1000 at least for the first 2-3 months. when wil it be available in assam, india?